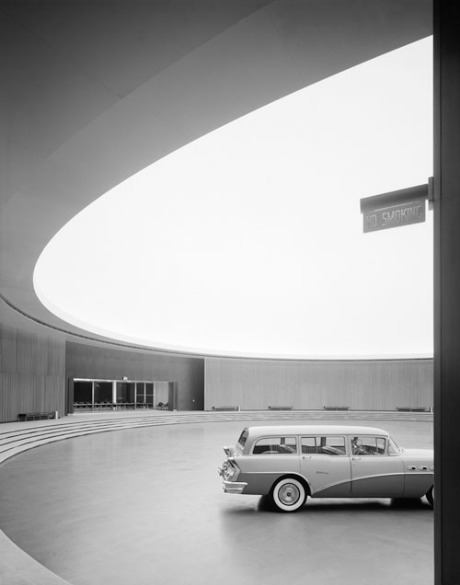 Chicago born photographer, Ezra Stoller’s (1915–2004) gelatin silver prints include images of architectural interiors and iconic landmarks. 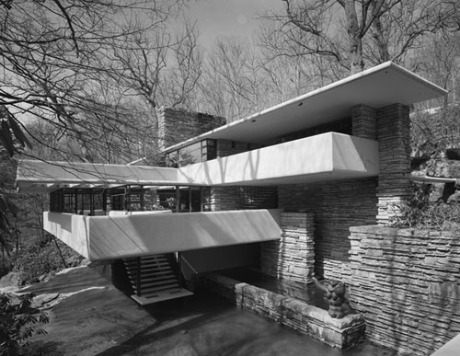 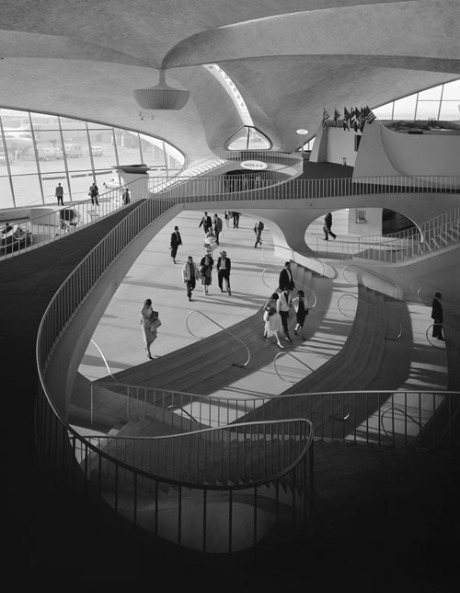 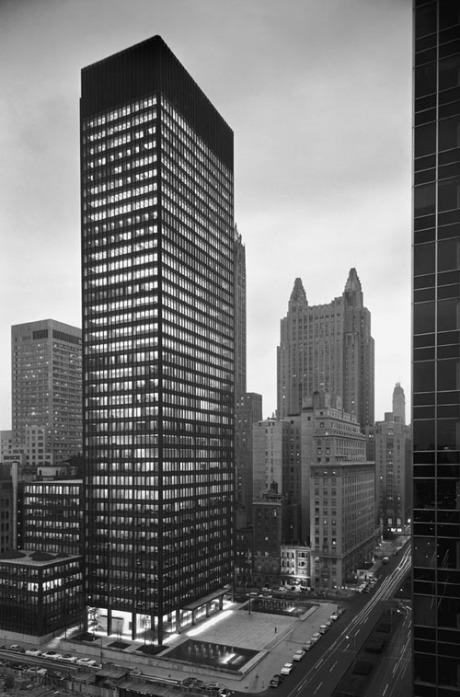 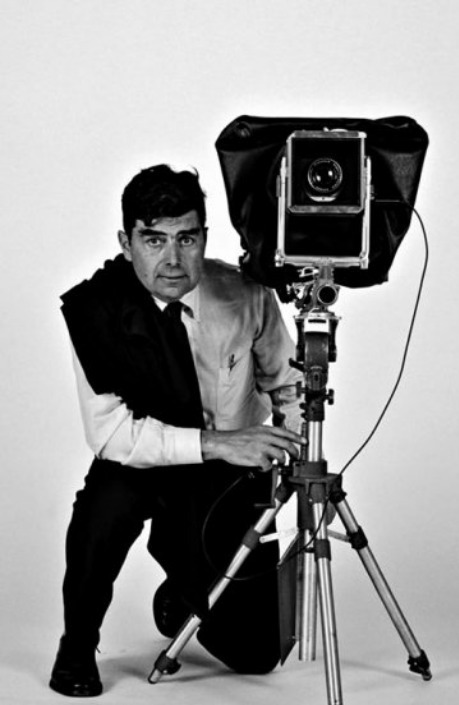 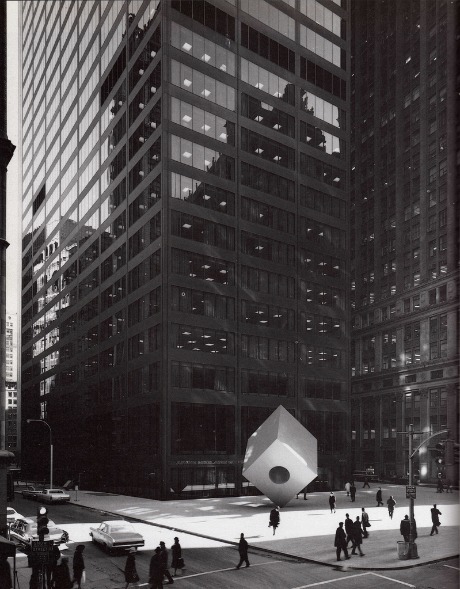 Based on his background in architecture and industrial design, Stoller used a large-format camera to photograph monumental 20th century buildings, including the Guggenheim Museum, the TWA terminal at Idlewild Airport (now John F. Kennedy International Airport), the Seagram Building, the Salk Institute, Yale Art and Architecture Building and Fallingwater. 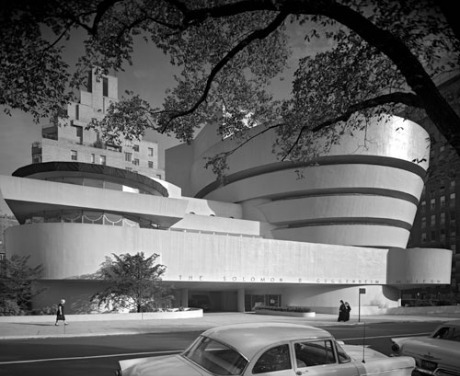 In addition to well-known photographs of these locations, the exhibition will include lesser-known photographs of small homes and guest houses which provide a fresh look at the masterful eye that established Stoller as the preeminent photographer of modern architecture. 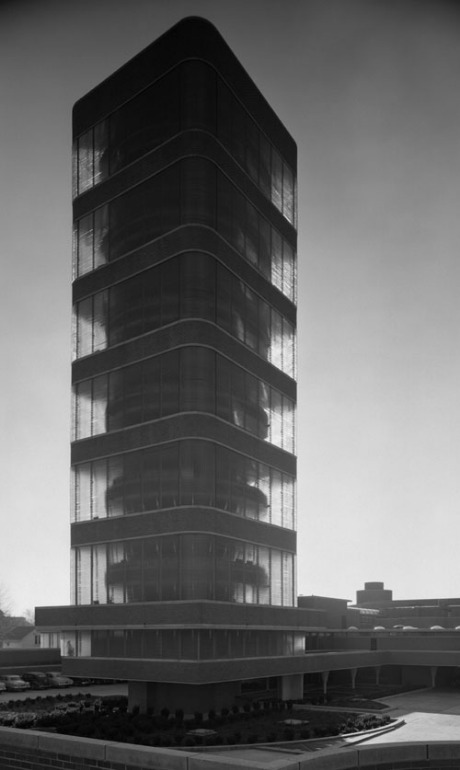 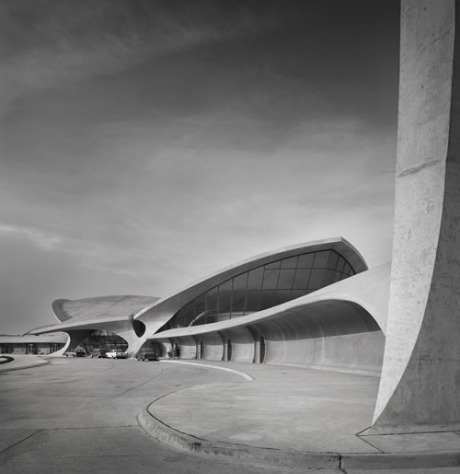 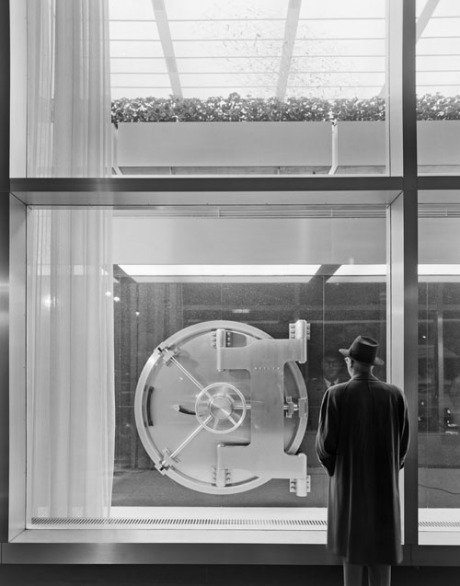 A pioneer in the field of architectural photography, Ezra Stoller was commissioned by architects such as Frank Lloyd Wright, Paul Rudolph, Eero Saarinen, I.M. 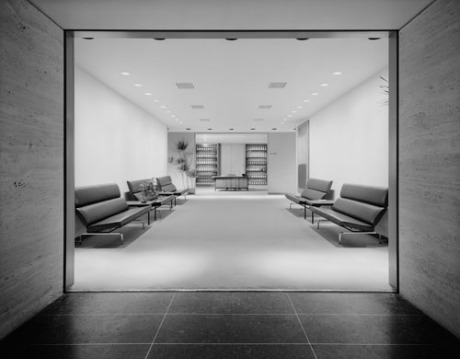 Pei, Marcel Breuer and Richard Meier, because of his unique ability to capture the building according to the architect’s vision and to lock it into the architectural canon. 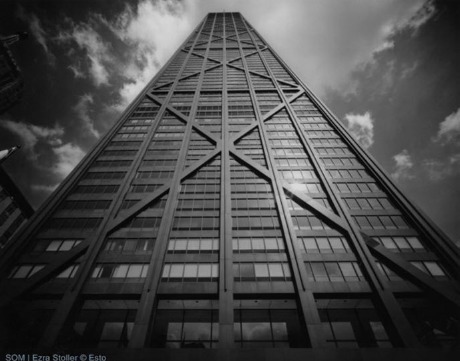 His photographs convey a three-dimensional experience of architectural space through a two-dimensional medium, with careful attention to vantage point and lighting conditions, as well as to line, color, form and texture.